Bookings for the Summit 2018 are now open! This year we are delighted to announce that we'll be joined by HM Chief Inspector of Education, Amanda Spielman. Amanda Spielman, former chair of Ofqual, has been Ofsted Chief Inspector since January 2017. We're very much looking forward to welcoming Amanda to her first SCHOOLS NorthEast Summit. 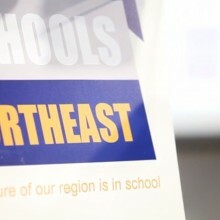 Now in its tenth year, the SCHOOLS NorthEast annual Summit brings together school leaders from across the region and the rest of the UK. Expect nationally renowned speakers, 500 delegates and 65 exhibitors, as well as a strong regional focus.